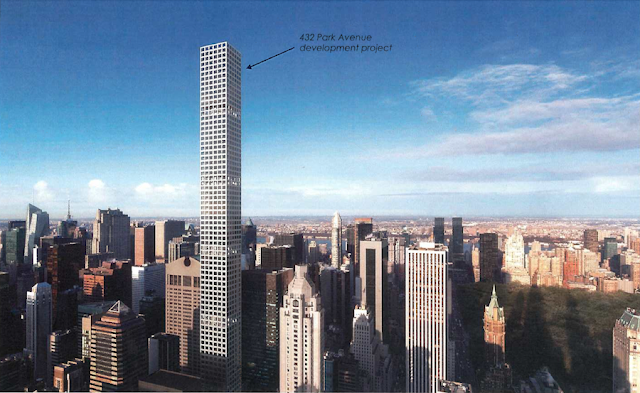 World of Architecture: 432 Park Avenue: Are You Ready For New New York's Tallest? 432 Park Avenue: Are You Ready For New New York's Tallest? 432 Park Avenue, mysterious skyscraper set to rise on Midtown's Park Avenue is slowly revealing its secrets. A few days ago, foundation work has ended and the crew is leaving the site. We're now waiting for new contractor to move in and start building towards the sky. In the meantime, prices regarding 432 Park Avenue went public. According to Wall Street Journal, price per square foot will be almost $ 6,000. What about the penthouse? Penthouse of 432 Park Avenue will hit the market asking $ 85 million. 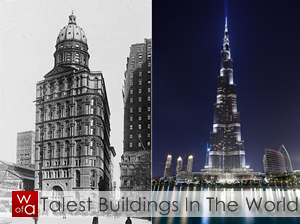 Don't forget it's located 396m (about 1,300ft) above Manhattan! We decided not to use words to describe what you can expect up there but use pictures instead. Here are 2 shots from Google Earth, from the position of future penthouse. This is the view someone will buy for $ 85 million! Also, we placed One57 in for comparison. One57 penthouse is worth almost $ 100 million. Latest December construction update with set of floor plans.